(Leah Hogsten | The Salt Lake Tribune) l-r Senator Lyle Hillyard, R-Logan listens as Sarah Tuttle gives reasons not to repeal SB126 regarding surrogacy Wednesday, February 7, 2018 in the Senate Health and Human Services Committee at the Capitol. "I would've given anything to have been able to carry my own children," said Tuttle who now has two daughters thanks to a surrogate, Kara Ford, who is now her best friend. Hillyard, a Logan Republican, sponsored the 2005 law that set up the legal framework for families to work with women willing to carry a baby through delivery for them. It has led to dozens of babies being born to parents who would otherwise be unable to have their own children. After his bill sailed through the Senate that year, it ran into stiff opposition in the House, Hillyard said. So he went lawmaker-to-lawmaker giving them a promise. Members of the committee didn’t agree and voted to table the bill, essentially signalling their opposition to it, though Hillyard maintained after the hearing he remains committed to changing the law. Hillyard said judges are interpreting the law to apply to gay and single couples — people he didn’t intend for the law to cover. He said “gay marriage was not an issue” when the law was enacted. But married gay couples have used the law to have biological children of their own, which has led to an ongoing Supreme Court case that will determine the future of the law if unchanged this session. The Utah Supreme Court is weighing a case involving a married gay couple from southern Utah who appealed after a judge in Washington County denied their surrogacy agreement. The couple is asking the court to throw out a portion of the law that requires “mothers” to show they’re medically unable to carry a child. Rather than change that provision, Hillyard sought to repeal his own law. 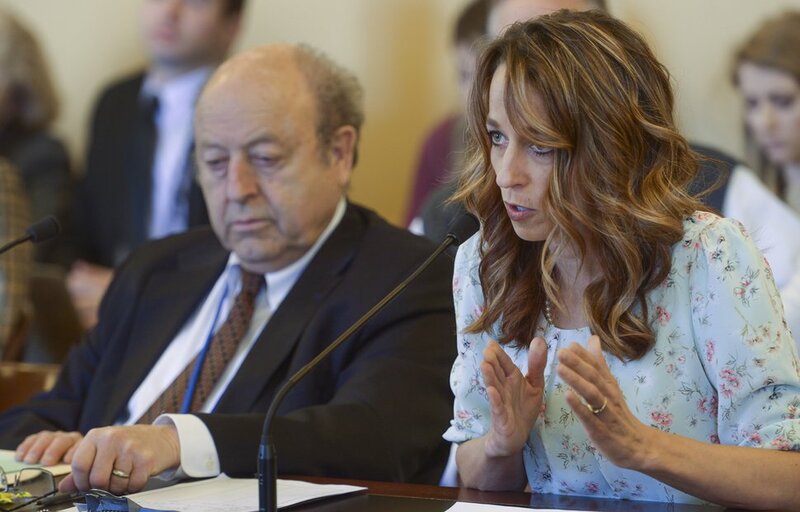 (Leah Hogsten | The Salt Lake Tribune) l-r Senator Lyle Hillyard, R-Logan listens as Jennifer Fresques gives reasons not to repeal SB126 regarding surrogacy, Wednesday, February 7, 2018 in the Senate Health and Human Services Committee at the Capitol. Fresques, who has two children of her own, has served as a surrogate for other families who could otherwise not have children on their own. 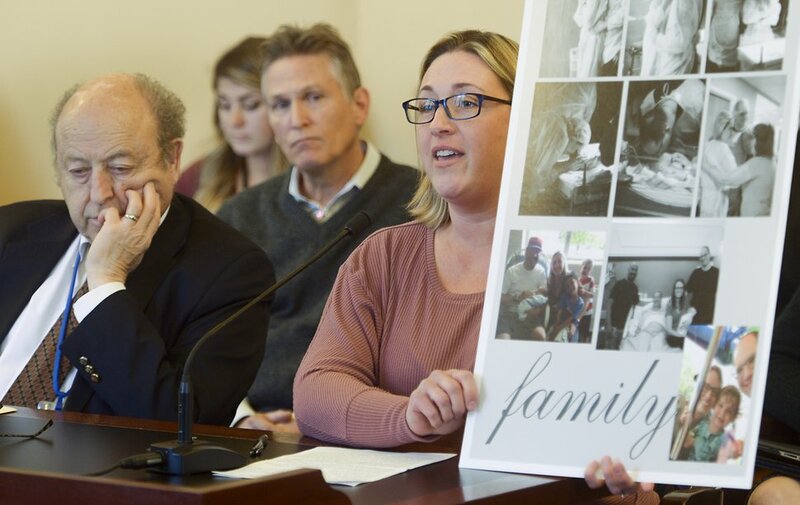 Women cried as they told of the pain and fear of not being able to bear their own children were it not Utah’s surrogacy law, which created protections for surrogates and the baby’s intended parents. Seven years ago, Abby Cox delivered a child for her sister-in-law, who was unable to have children of their own. (Leah Hogsten | The Salt Lake Tribune) l-r Senator Lyle Hillyard, R-Logan listens as Abby Cox gives reasons not to repeal SB126 regarding surrogacy Wednesday, February 7, 2018 in the Senate Health and Human Services Committee at the Capitol. Cox, wife of Lt. Gov. Spencer Cox, said she was a gestational carrier for her sister-in-law seven years ago. 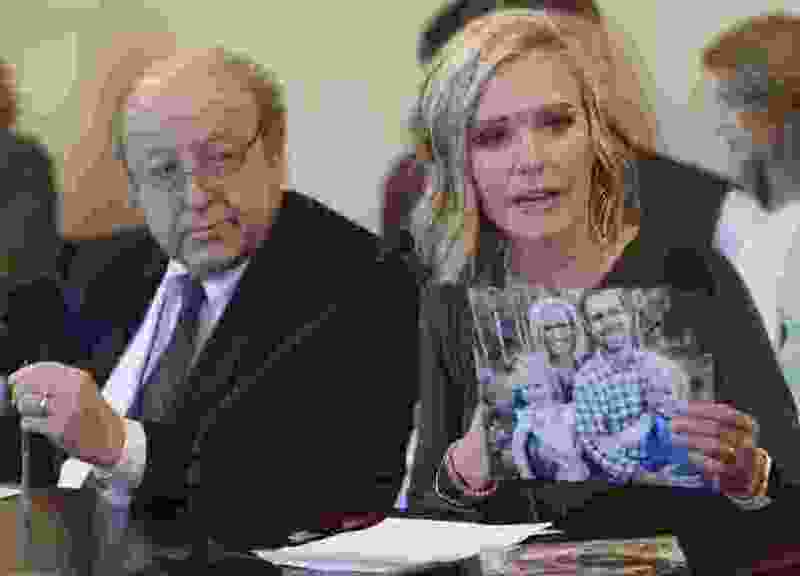 Several men and women thanked Hillyard for their ability to have biological children through gestational (surrogate) mothers before telling him he now has written a bad bill. “I would have given anything to carry my children,” Sarah Tuttle said. “Because I wasn’t able to, I am eternally grateful” for the existing law. Hillyard said he had the votes, but several members of the committee left before voting on his bill. He said he’d look at unspecified changes before the end of session, but he has opposition from an important member of the committee. As chairman of the Senate Health and Human Services Committee, Sen. Lincoln Fillmore, R-South Jordan, has power to set which bills receive hearings. He said when he was headed home from work shortly after the bill was filed, a constituent called him to say he and his partner were struggling to have a child. During the call, Fillmore pulled onto his street, where his son was in the driveway, excitedly waiting for him, he said. Correction: Sen. Lincoln Fillmore recounted a conversation with a constituent who was a gay man hoping to have children by a surrogate. The original story incorrectly referred to the voter's sexual orientation.